Public Core is an organization of West Contra Costa County parents, teachers, community members, and school staff who fight for public control and accountability in our schools. We believe that public schools, open to all, are essential to the health of a democratic society. Our goal is high quality, inclusive public education for all students. We believe that the proliferation of privately-operated schools using public money will increase inequalities in education and in our society. We are dedicated to informing the public about the impact of publicly-funded, privately operated schools on our community. WCCUSD elementary schools won the state award for their implementation of state-adopted academic content and performance standards, including Peres for its Efficacy Model ("Think you can, work hard, get smart"), and Washington for its dual immersion program. The full list of winners is: Coronado, Farimont, Hanna Ranch, Harding, Kensington, Madera, Montalvin, Olinda, Peres, Riverside, Sheldon, Valley View, and Washington. About 3,000 people so far have signed a petition by the Justice for Oakland Students Coalition demanding a local, long-term superintendent of schools, rather than a candidate with no roots or history in the area. The petition also demands that the superintendent focus on high-quality education for African-American, Latino and high-need students, as well as stronger oversight of charter schools, and that he/she prioritize district-run schools, ending he proliferation of charter schools. Soil and groundwater samples collected from underneath the Oakland Charter High School and Oakland Charter Academy campuses (run by Amethod Charter Schools) showed "elevated concentrations" of trichloroethylene (TCE) and other poisonous compounds. Air samples taken inside the school's buildings revealed vapors of TCE at levels exceeding safety limits set by the US EPA. TCE is known to cause cancer and developmental and neurological problems. In a familiar scenario, the privately-owned buildings are leased from a wealthy couple (the Richard S and Susan L Cochran Family Trust) and, unlike public buildings, were not subject to state DSA standards. Because the site is privately owned, the charter school operator was responsible for obtaining legal clearance and conducting an environmental review. Livermore Valley Charter Prep School and Livermore Valley Charter School (run by Tri-Valley Learning corporation) are facing parental outrage and accusations of financial mismanagement. The problems, according to Livermore administrators, who have been investigating the schools since February, include not paying rent, not paying teachers and transferring foreign exchange students to Stockton against their will (the latter is being investigated by local prosecutors as possible "false imprisonment"). The schools were questioned in 2015 by administrators about their financing scheme (which involved selling investors a $30 million municipal bond to finance the purchase of a new high school building), but were simply accused of "not liking charters." Software used by Summit Public Schools, a charter chain that operates in the WCCUSD, is said to tailor lessons to individual students, track their progress, but also capture a stream of personal data that "could include names, email addresses, schoolwork, grades and Internet activity." Education experts also warn that "while using computers to personalize teaching might prove transformative, its effectiveness remains largely unproven." According to a recently released Alameda County Grand Jury report, Oakland charter schools aren't outperforming their district-run counterparts, and on average, performed worse last year in statewide results. "It's a concern that some charters are not achieving expected results and yet may still be reauthorized," the panel stated. " The district also should do more to ensure charter school buildings' safety when they are located on non-district sites, since they don't need to conform with higher earthquake-resistance standards." The L.A. school board's vote was 6 to 0 against a five-year renewal for three schools operated by locally-based Magnolia Educational and Research Foundation. Board member George McKenna abstained. The district agreed to stay a revocation process that would have returned El Camino (accused of misappropriation of funds) to the control of the L.A. Unified School District. But founding executive director, David Fehte, consented to leave within the next week. Several governing board members also are expected to depart over the next several months. The L.A. school board’s vote was 6 to 0 against a five-year renewal for three schools operated by locally-based Magnolia Educational and Research Foundation. Board member George McKenna abstained. The district agreed to stay a revocation process that would have returned El Camino (accused of misappropriation of funds) to the control of the L.A. Unified School District. But founding executive director, David Fehte, consented to leave within the next week. Several governing board members also are expected to depart over the next several months. Comprehensive look at the charter movement in California in the era of the "[Eli] Broad Plan" to install charters schools in districts nationwide under the banner of "parent choice." Although the plan "charges that 'urban school districts are not serving students’," the charters' overall report card "has not been so stellar." Links provided to series of articles about charter schools. Article details the ways in which Betsy DeVos's "innovative ideas" are "the same old retreads of the privatization movement" and asserts that evaluations of voucher programs in Milwaukee, Cleveland, the District of Columbia, Louisiana, and Indiana have found no gains for students enrolled in voucher schools, and that the overwhelming majority of charter studies have found that charters perform no better than public schools unless they exclude children with disabilities, English language learners, and behavior problems. "Each year, Quakertown Community spends about $2 million on students who choose to attend charters rather than their public schools. As tuition payments to charters bite ever deeper into the budgets of virtually every district in the region, some are beginning aggressive campaigns to win kids back. Their strategies range from direct-mail marketing, to boisterous “back-to-school” rallies with bouncy castles, to pricey new programs such as all-day kindergarten." Article focuses primarily on the many scandals occurring at charters and private schools benefit from taxpayer-funded vouchers, due mainly the lack of oversight. Article states that the nomination of Betsy DeVos as Secretary of Education is a "clear sign that Mr. Trump intends a major national push to direct public funds to private and charter schools." It makes the argument that, based on DeVos's results in "reforming" schools in Michigan, her confirmation will most likely be a loss for students. Details are provided to back up the claim that, because of poor results and lack of oversight, she is the author of the "biggest school reform disaster in the country." On January 11, the U.S. Supreme Court heard arguments in a case that will decide what kind of education public schools must provide students with disabilities. The original case involved a suburban Denver school district and a student diagnosed with autism and attention deficit/hyperactive disorder. His parents pulled him out of his public elementary school, saying he wasn't making enough progress, and sued the district to pay for a private school for children with autism. The decision will affect districts across the nation, and will hinge on whether school districts should provide a "meaningful" education and what that means. A "cautionary tale" about the damage to public schools done by charter schools in Bethlehem, Pennsylvania, and a strong rebuttal to the argument charter proponents make is that since the school is no longer educating the student, the per-pupil amount it sends to the charter represents savings for the district: "If class size is reduced from 28 to 27, or even to 25, you still must retain the teacher and her salary remains the same. 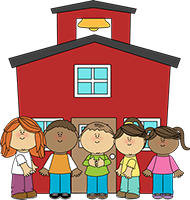 The school does not lose a principal, custodian, cafeteria server or school nurse, even when sizable numbers leave. You can't lower the heat or turn off the lights because some students and their funding have left for charters"
Soon to become the only big city in the country without a single traditional public school run by a central office, New Orleans' charter schools have succeeded in bringing up test scores. However, as this article demonstrates, just because one charter school system works, doesn't mean every charter school system works, and New Orleans hasalso discovered a lot of the ways that a system based on giving parents choice can go wrong. Unlike Michigan, where Betsy DeVos just helped kill a state law that would have made it easier to close failing charters, Louisiana has been fairly aggressive about closing charters that underperform, including charters that encourage special needs students to go elsewhere. and detailed analysis of small samples, instead of across-the-board testing. In this detailed interview, Noam Chomsky discusses historical trends in public education, and the harmfulness of market-driven education tendencies, which he believes should be "regarded as part of the general neoliberal assault on the public." Kozol makes the following arguments against lifting the cap on charters in Massachusetts: in terms of performance, "charter schools are not running circles around the public schools that serve the vast majority of children;" the effort is being funded by billionaires with right-wing ideologies who have been trying to privatize schools for decades; charter schools are significantly more likely than their public counterparts to be profoundly segregated; selective enrollment (even if unintentional) and "load-shedding" skew charter schools' results; and charters drain off "enormous sums of money from already-underfunded public schools." WNYC, September 30, 2016 Nuanced argument by the director of an organization of independent charter schools for reforming a charter school movement that has "lost its way:" "As a long-time progressive educator, I'm happy to concede several important points to [education] reformers. First, we should not make excuses for an inability to provide a great education to all our children. Second, despite misgivings about the narrowness of standardized tests, the data gathered from them is valuable and actionable. There is merit, too, in the civil rights argument that if we were not sufficiently shaming ourselves over the poor academic outcomes from black and brown children we might be insufficiently moved to address the achievement gap. I respect those arguments and credit reformers for forcing them. But ed-reform orthodoxy has had a chilling effect on what should be a joyous vocation and it has narrowed programs and goals, especially in charter schools." Donald Trump made a pitch in Cleveland for the "school choice" movement — at a charter school that has received failing grades from the Ohio Department of Education for its students' performance and progress on state math and reading tests. "I'm proposing a plan to provide school choice to every disadvantaged student in America," Trump said. The academy is a K-8 school where fewer than half the students scored proficient or above on standardized math and reading tests in 2014-2015." A new report entitled "Charter School Vulnerabilities to Waste, Fraud and abuse" by the Center for Popular Democracy concludes that taxpayers in 15 stateshave lost about $216 million to charter-school waste, fraud, abuse, and mismanagement. Article gives some specific examples in Atlanta and Kansas City, and adds that state, local, and federal governments nationwide could lose more than $1.8 billion this year due to deficiencies related to oversight. The report states that within the last 20 years, the federal government has given more than $3.3 billion to states to increase its number of charter schools. Valerie Strauss: Will the Thing that Charter Schools Love So Much Be Their Undoing? Article introduces a post by Carol Burris, a former New York high school principal who is now executive director of the nonprofit Network for PublicEducation. Burris explains why putting the word “public” in front of “charter school” is “an affront” to people for whom public education is a mission, and looks at whether charter schools can properly be compared with district public schools. She points to facts such as that only 4 percent of New York’s charter students are English Language Learners, as compared with over three times as many — 13 percent — of the grades 3-8 students in New York City public schools, and other things that make it impossible to compare test scores. Based on her son's experience at a local charter school, parent Amanda Ceide is urging Massachusetts voters to defeat a ballot measure this November that would lift the state's cap on charter schools. If it the cap is lifted, she believes it will lead to more charter schools where minority and special needs students, like her son, who is both, face a disproportionate number of suspensions for minor, non-violent offenses. She also thinks it will create an education system where financially strapped public schools struggle to meet the needs of our most vulnerable kids. In Massachusetts, charter schools are not legally required to hire licensed teachers or anyone formally trained in early, secondary, or special education. Frustrated by money being funneled away from local public schools, Bethlehem [Pennsylvania] Area School District board member is filing a Right-to-Know request to find out how much Innovative Arts Academy Charter School spent on full-page color ads in the local paper. He wants parents to know that charters are allowed to operate by different rules than regular public schools and that the school district is being forced to spend $26 million on charter and cyber school tuitions this year and that such schools are, therefore, not "free" as their ads claim. Citing statistics showing that public schools remain highly segregated, with black children disproportionately likely to attend schools with fewer resources and concentrated poverty, that four of the 10 biggest school districts in the country have more security officers than counselors; and that spending on corrections increased by 324 percent between 1979 and 2013, while spending on education rose just 107 percent during that time, Black Lives Matter activists are calling for reforms that include: a constitutional amendment for “fully funded” education (activists say federal funding is inadequate and not distributed equally), a moratorium on charter schools, the removal of police from schools, and the closure of all juvenile detention centers. Detroit Community Schools, a charter school located in a low-income, underserved corner of Detroit, has been ordered to repay the state $144,000 after it illegally employed two unlicensed administrators. (In addition, out of the hundreds of students it has graduated since 2007, the charter has had only three pass the ACT.) Another Detroit charter, Universal Academy, run by Hamadeh Educational Services, an “educational services corporation," fired eight teachers, last winter, six of whom had attended a January school board meeting to draw attention to mistreatment of students and other problems at the school. The teachers filed a complaint with the National Labor Relations Board, which upheld it and ordered the corporation to restore the teachers to their former positions. Article detailshow charter schools across the country are undermining the efforts of school districts to treat suspensions and expulsions as last resorts, and to guarantee due process for students and their families. Data is provided, such as: "In New York city, although the charter-school student population represents just under 7 percent of the district’s total enrollment, charter schools accounted for nearly 42 percent of all suspensions." Nuanced argument by the director of an organization of independent charter schools for reforming a charter school movement that has "lost its way:" "As a long-time progressive educator, I’m happy to concede several important points to [education] reformers. First, we should not make excuses for an inability to provide a great education to all our children. Second, despite misgivings about the narrowness of standardized tests, the data gathered from them is valuable and actionable. There is merit, too, in the civil rights argument that if we were not sufficiently shaming ourselves over the poor academic outcomes from black and brown children we might be insufficiently moved to address the achievement gap. I respect those arguments and credit reformers for forcing them. But ed-reform orthodoxy has had a chilling effect on what should be a joyous vocation and it has narrowed programs and goals, especially in charter schools." "While the idea was to foster academic competition, the unchecked growth of charters has created a glut of schools competing for some of the nation’s poorest students, enticing them to enroll with cash bonuses, laptops, raffle tickets for iPads and bicycles. Leaders of charter and traditional schools alike say they are being cannibalized, fighting so hard over students and the limited public dollars that follow them that no one thrives." A new report about the performance of schools authorized by the Georgia State Charter Schools Commission finds that 15 statewide charter schools neither excel far ahead of nor drag far behind the traditional public schools against which they’re meant to compete. "No matter how noble the original motives, public school 'reform' as pursued by private interests in general, and by plutocratic dilettantes in particular, has been an abject failure and an almost limitless vista of low-rent scams and high-tech brigandage." Social scientist hired to assess Success Academy charter chain reported "multiple incidents of Success staffers reporting that Success teachers may have prepared students for specific questions on internal tests, allowed students to copy answers from each other, scored their own students higher than students in other classes, and pointed to incorrect answers on exams and warned students to rethink their answers."